The percolation of rainfall through soil is a fundamental part of the water cycle. Unfortunately this is often contaminated by pollutants such as motor oil and petrol from car parks or organic debris from roof runoff, making contaminant removal a prerequisite for rainwater runoff with no negative impact on the environment. 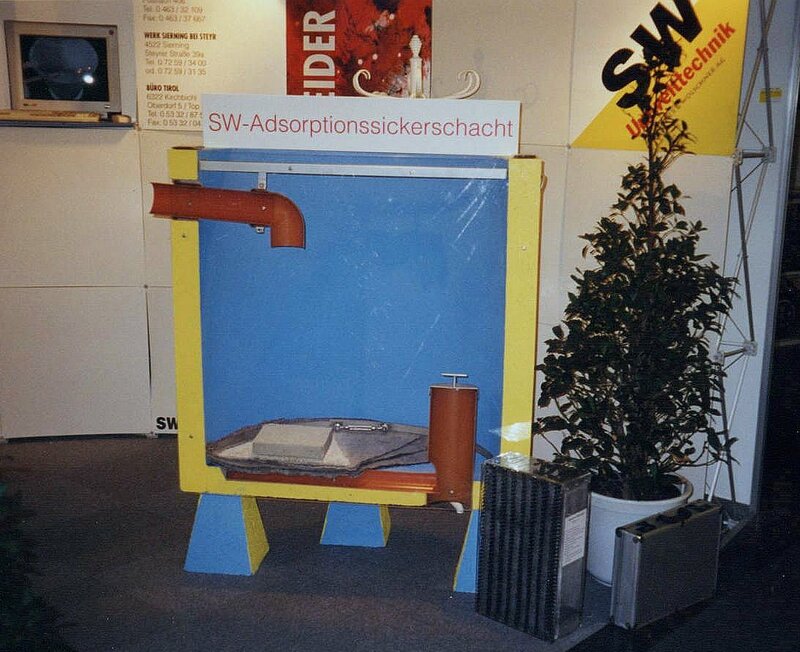 The easiest way of facilitating contaminant removal in soakaways is by using activated carbon mats. These are stacked in multiple layers (min. three) on the permeable floor of the shaft and secured to its walls with metal bands. The polluted rainwater is then filtered as it runs through the soakaway, the micropores of the activated carbon adsorbing the contaminants. Silt is collected on the textile layer of the activated carbon mat. If there is a heavy build-up of silt it is possible to install an easily removable pre-filter mat with step filter over the stacked filters. 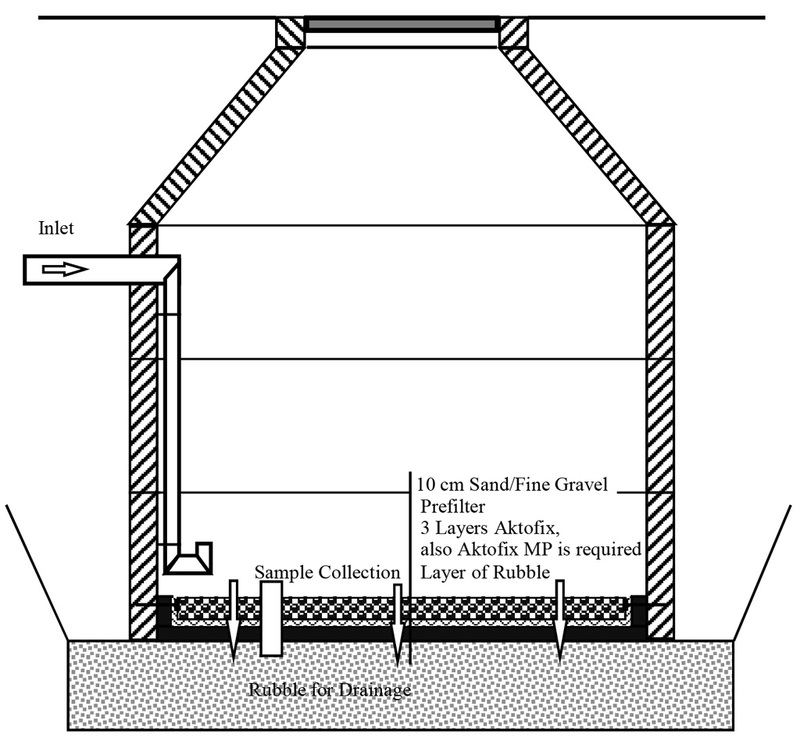 Besides this, sand or gravel layers as well as sediment-traps can be used. The mats come either pre-installed or can be fitted into the soakaway at a later point in time. Large filtration area with high permeability. Possible to exchange individual layers. Constant thickness over complete area of filter. The filter bed remains stable when exposed to strong currents or buoyant forces. Mechanical production means that 100% of the activated carbon surface area functions for adsorption.